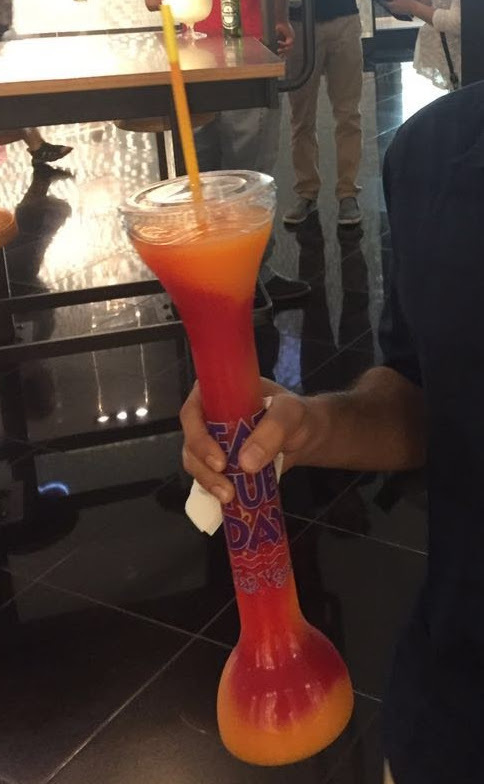 I came across a new form of drinking vessel during my recent trip to Las Vegas. The Fat Tuesday comes in a long cylindrical tube with expanded ends. The vessel holds a cold slushy-like drink which is sipped through an elongated straw (picture below for reference). While this was my first experience with such an interface for drinking, I was able to understand its usage easily enough because the physical embodiment fit roughly into my mental model as an instance of the abstract class of glasses (Dourish, p21). I further appreciated the tangibility of the cold drink on a warm Vegas night as well as the reduced circumference of the vessel that allowed for a firm grip even in an inebriated state. 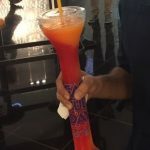 Through phenomenology, the creators of the Fat Tuesday understood that customers would enjoy the experience of an altered drinking vessel and that was a key part of their value proposition.